There are beautiful locations outside Taipei, one of which is Kaohsiung. 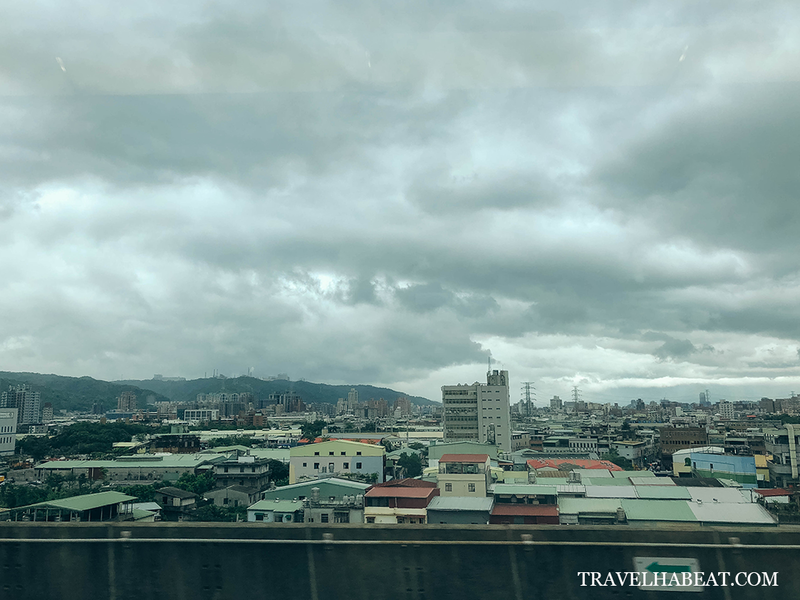 Our group took Taiwan’s High Speed Rail to reach Kaohsiung by land. 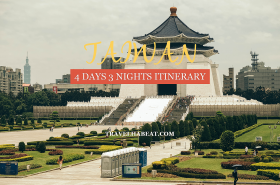 From Taipei, there are several options to travel to Kaohsiung by land. Driving will take around 3.5 hours. 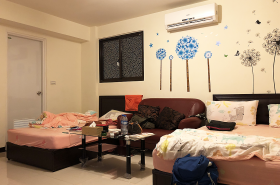 There are buses available but it will take you around 5 hours to reach Kaohsiung. By regular train, travel time is also around 3.5 hours. 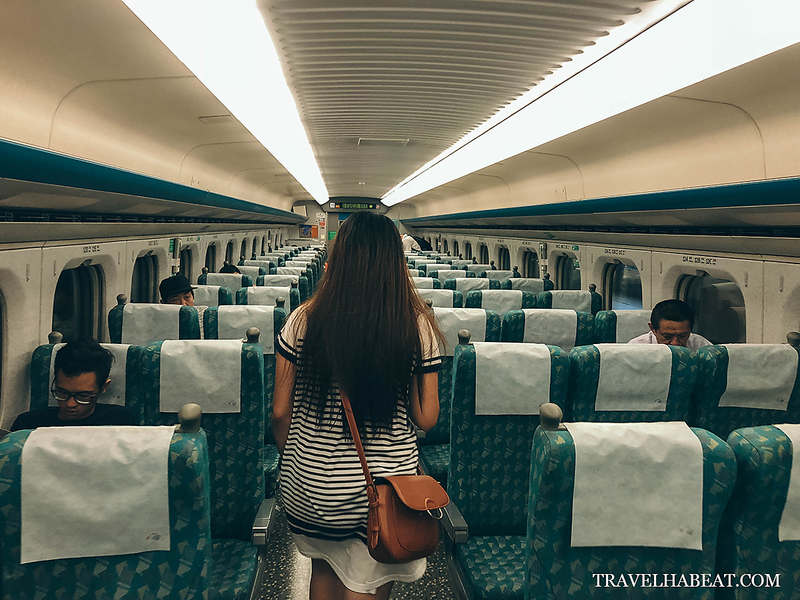 Since we are only doing a day tour, we selected the fastest option to get to Kaohsiung from Taipei, via Taiwan’s High Speed Rail. Travel time is approximately 2 hours. 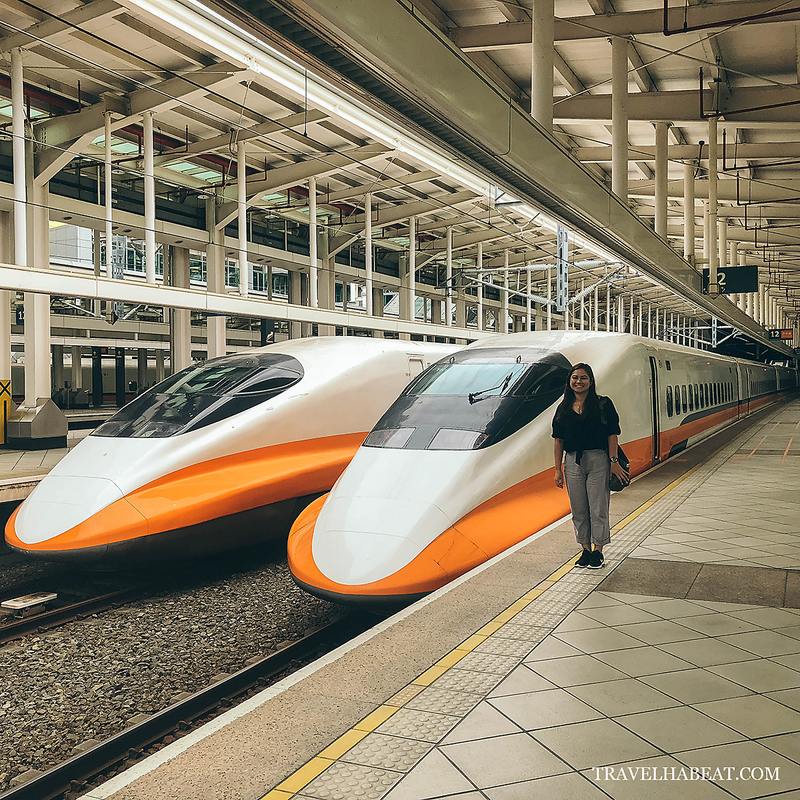 The High Speed Rail runs at a speed of 300 km/h from Nangang to Zuoying. First of its kind in the country, it started operations in 2007. 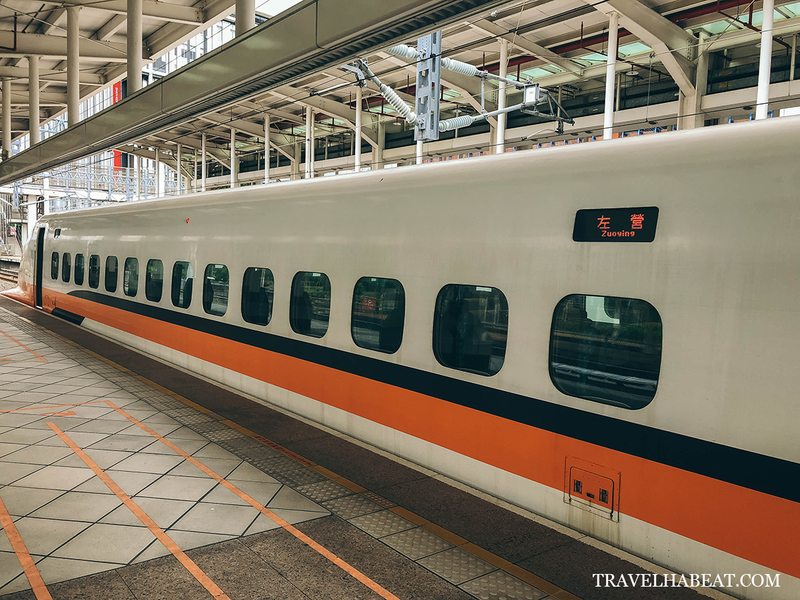 Constructed by Taiwan High Speed Rail Corporation, the system used was based on Japan’s Shinkansen technology. I got some feedback that there is a long line when buying HSR tickets at the train station itself. This is why some recommends buying one online. 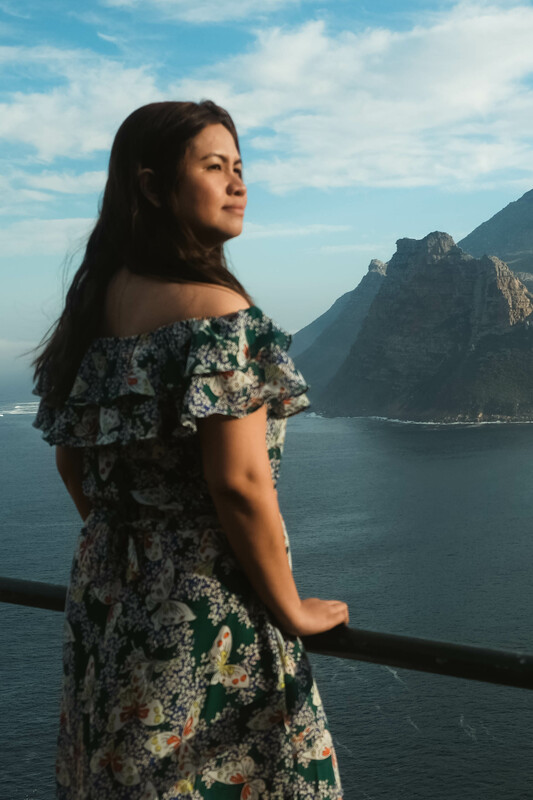 Since we were not sure with our departure time, we did not book online. Luckily for us, there was no line when we bought the tickets. We both tried buying tickets using the vending machine and from the ticket booth/counter. The attendant even gave us a reserved seating. If you are sure of your schedule, it is better you buy a ticket online. Purchasing a ticket in advance will also give you a discounted price. 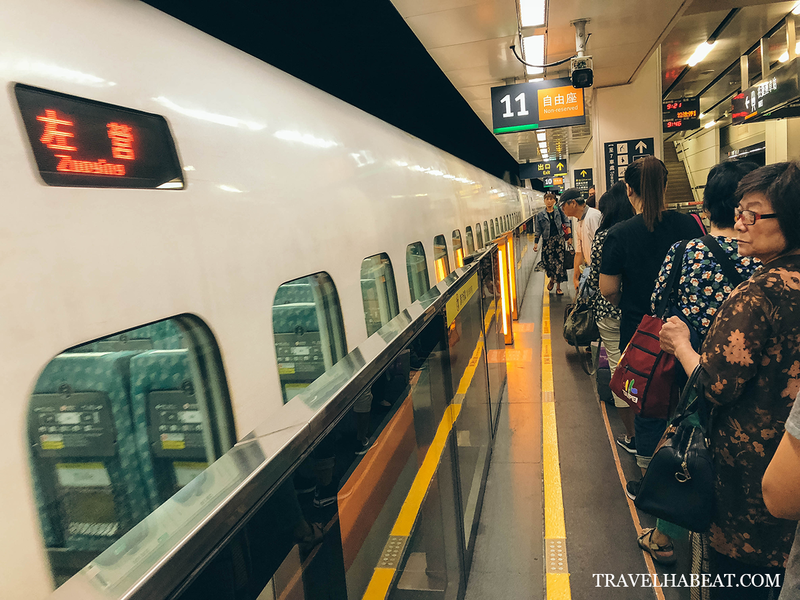 Take HSR from Taipei Main Station and alight at HSR Zuoying Station. Travel time is approximately 2 hours. One-way fare is around NT1500 (USD49 | PHP 2597). 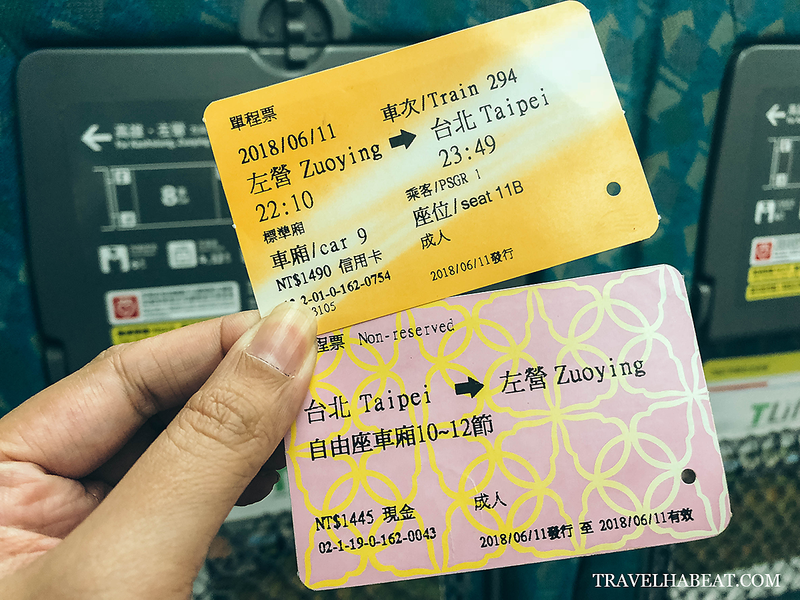 From Zuoying station, you can transfer to Kaohsiung Rapid Transit (KRT) or take a bus (just outside the train station) depending on where you will be headed. 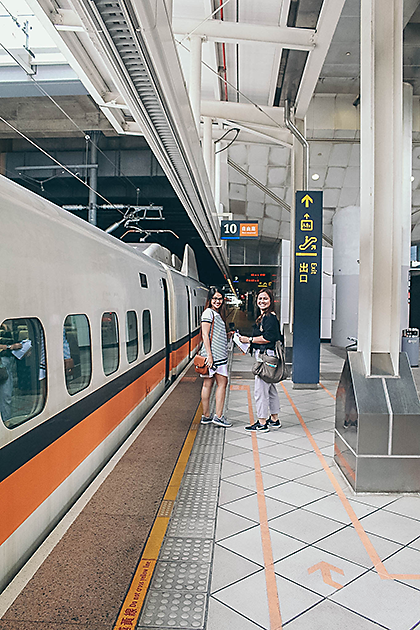 Kaohsiung Rapid Transit is the rail system that covers the area of Kaohsiung, Taiwan. Inside HSR – standard car. HSR is my first bullet train experience. Taking the High Speed Rail is quite expensive but I was thrilled to be able to ride a bullet train at least once in my lifetime. You don’t actually notice the speed inside, it’s the same feeling as running a regular train. Amazing technology! Book online in advance to get a discounted fare. 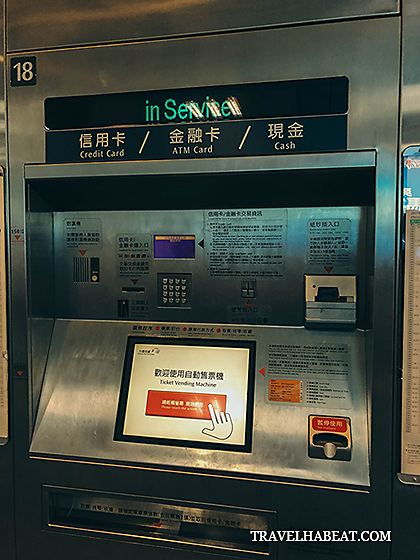 You can pay using your credit card at the train station. Take note of your car number and ride the correct one. Keep your ticket for inspection inside the train. A train attendant will go around to offer food for sale. Easycard cannot be used in purchasing HSR ticket.